In order to get rid of fossil-powered energy which leads to environmental catastrophes, the access of renewable energy sources, especially solar energy technology to masses, should be the main focus for manufacturers and energy conscious organizations. 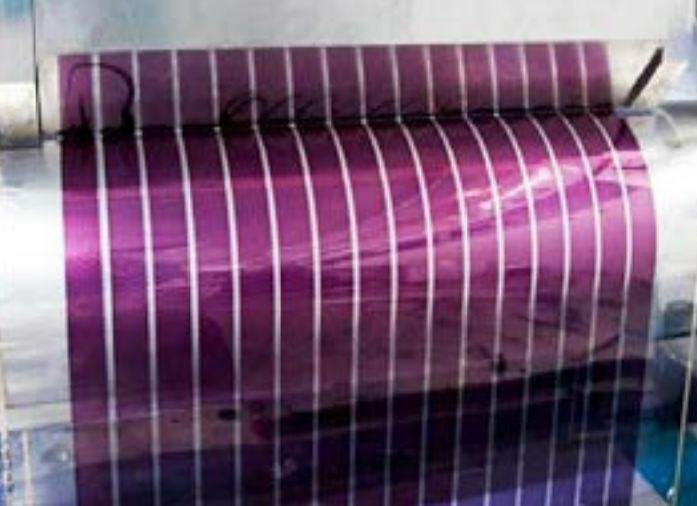 Polymer solar cells (PSC) are a promising alternative to traditional silicon solar cells, having the potential of a substantially lower production cost; it can be produced in large scale by roll-to-roll (R2R) printing and coating technologies, much the same as the printing of newspapers. However, due to limited access of, cost-effective inks for the processing of the active layer in the PSC, and the printing unit & drying system make it challenging for mass production. 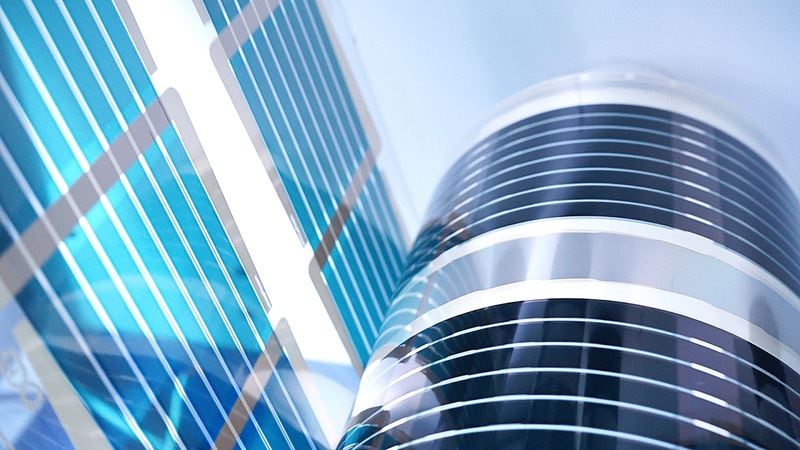 Now, InfinityPV ApS, a Danish start-up company founded in 2014 by Frederik C. Krebs (CEO) along with 31 co-owners, provides expertise in printed flexible organic solar cells, ZnO inks, electrodes, and solar testing hardware, this could solve the above issues to a great extent. Today, good inks exist for all the layers of the solar cell, except for the important active layer in which the energy of the sun is converted into electrical energy. The lack of an ink for the active layer with the necessary properties, and in the quantities needed industrial production, is a major hindrance to the spread of the technology. Flexible organic solar cells (OPV) made by InfinityPV are fabricated using optimized low-temperature R2R printing and coating methods. Its Flextrode (ITO-free) is used as transparent electrode, while InfinityPV ZnO is used as electron transport layer (ETL). All fabrication steps of the organic / polymer solar cells are made under ambient conditions and no vacuum or evaporation is used. It is ideal for fabricating flexible organic solar cells, perovskite solar cells, and printed electronics products. The ink can be stored for years and is available in different solvents. During long-term storage the ink turns blue, which is a signature for good storing conditions (oxygen- and water-free). By opening the lid and stirring for some minutes the ink color changes back to its clear state. 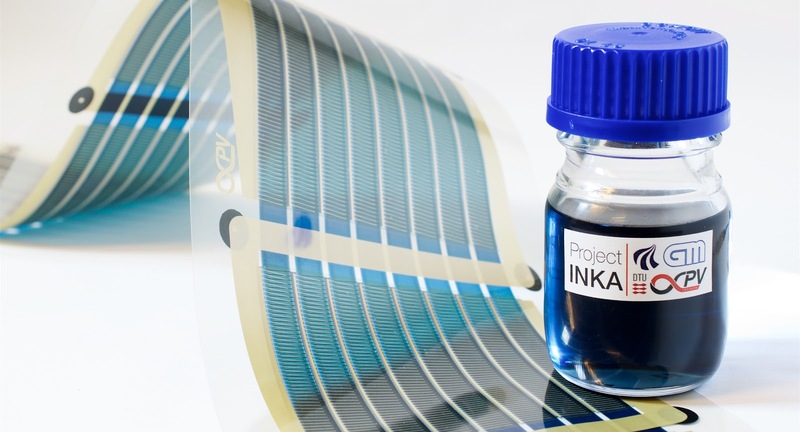 The functionality and film quality of the ZnO ink does not change during long-term storage. 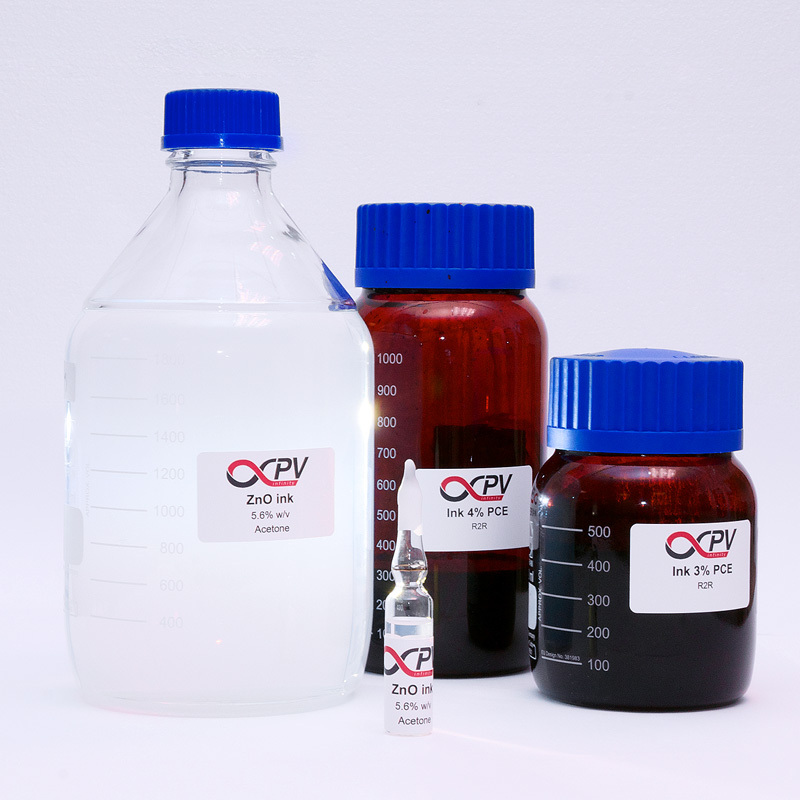 Common to the inks is their ability to yield highly uniform dry films, their robustness in the production and their high performance applying thick active layers (> 400 nm) which make them perfect for large scale production of OPVs on flexible substrates. 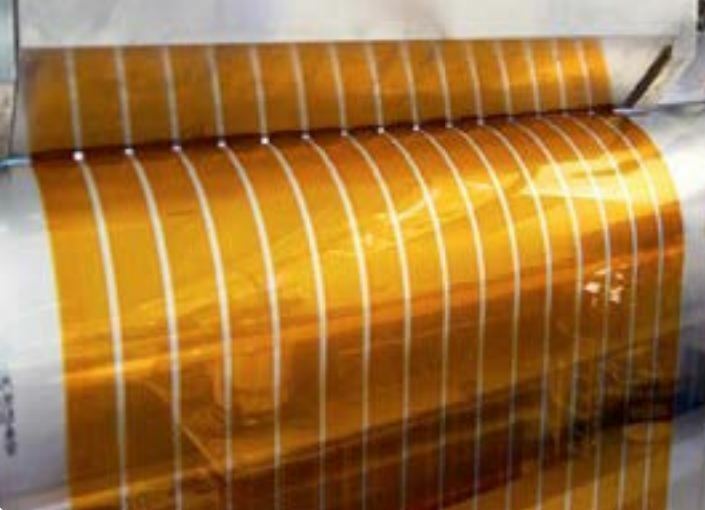 It's a manufacturing technique involving continuous processing of a flexible substrate as it is transferred between two moving rolls of material. High throughput and low cost are the factors that differentiate R2R manufacturing from conventional manufacturing which is slower and higher cost due to the multiple steps involved. R2R processing is applied in numerous manufacturing fields such as flexible and large area, like electronics devices, flexible solar panels, printed/flexible thin-film batteries, fibers and textiles, metal foil and sheet manufacturing, medical products, energy products in buildings, and membranes, etc.